The wait is over! Book Two of this highly-rated fantasy series is now available in Kindle eBook and paperback at Amazon. 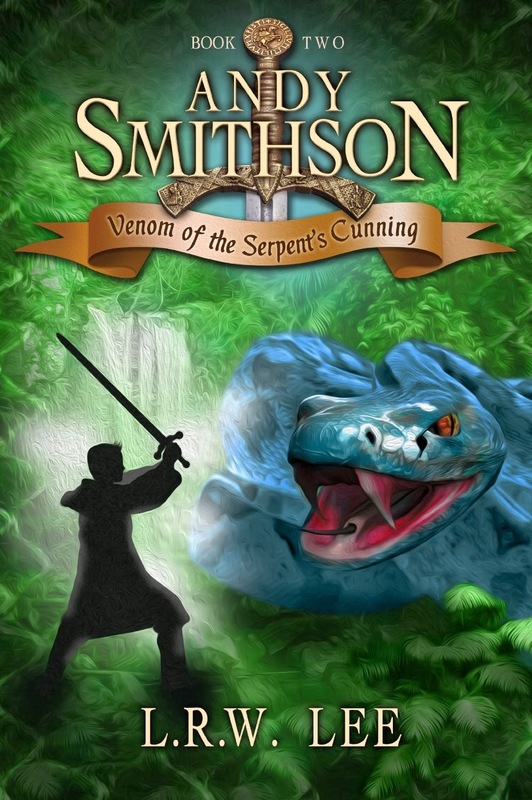 You won’t want to miss the non-stop action, drama and thrills on this adventure that is Andy Smithson: Venom of the Serpent’s Cunning, Book 2. Book Three, Disgrace of the Unicorn’s Honor is due out Fall 2014. And there’s more! As part of L. R. W. Lee’s book launch tour, you have the opportunity to win 9 fantasy adventure ebooks from highly acclaimed authors. To enter go to the author’s website at http://www.lrwlee.com/#!giveaway/chq4. Lia London began her writing career composing on-demand scripts for non-profit educational and religious organizations. In 2011, she published her first novel, and has since then published four more books. 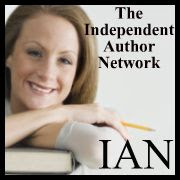 She hosts a book blog called Clean Indie Reads dedicated to bringing “Flinch-Free Fiction” to readers who are just discovering the independent author movement. Many authors featured there also collaborate in marketing through a Facebook group of the same name. London also has a writing coach blog which, until recently, also hosted collaborative fiction projects. She enjoys spending time with her family, practicing taekwondo, and—of course—reading indie books. LL. THE GYPSY PEARL, released December 6th, 2013, debuted at the top of the Amazon Best-Seller list for “Children’s Action & Adventure Sci-Fi”. Caz has spent her whole life on an interplanetary city station. More than anything, she longs to explore the planets below her. When one of her bursts of temper results in a sentence on the Surface of Caren, she sees the punishment as an adventure. But an encounter with gypsies and their strange pet changes her destiny forever. She is no longer just in search of some fun. 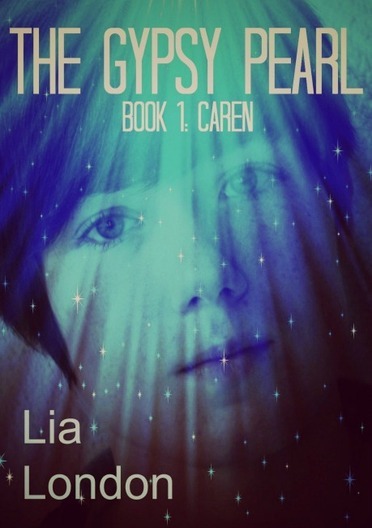 She is on a dangerous quest to seek out three worlds, three gifts, and three powers. Finding them means finding interplanetary peace—and finding herself. IAN. Is The Gypsy Pearl published in print, e-book or both? LL. It is currently only available in Kindle, but the paperback version will be out my March 2014 (along with the paperback versions of all my books). IAN. Where can we go to buy The Gypsy Pearl? IAN. What inspired you to write The Gypsy Pearl? LL. I actually dreamed the entire premise of the story, except that in my dream it was the more historical version of gypsies in a horse-drawn caravan instead of being set in outer space. I woke up and told my son about it. “Sounds like a good book idea, Mom!” Boom. When a member of the target audience speaks, I write. LL. Both. I had the overall arc of the story with some key points defined, but the chapters came piecemeal based on input from my collaborative fiction website. When participation died out, I retook the reins, switched out the POV from 3rd person to 1st person, and opted to break the story into a trilogy instead of a long stand-alone. IAN. What do you hope your readers come away with after reading The Gypsy Pearl? LL. A feeling that everyone can fit if we just make room. There are many different cultures and belief systems, but they don’t have to be at odds with each other if we can look at a bigger picture. LL. The space science is probably a little sketchy, but the people are real. My key characters should resonate with readers as having genuine motives and personalities. That’s always what matters most to me: the characters. LL. He’s gone now, I believe, but John Christopher. 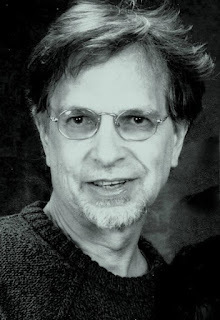 He’s a sci-fi/fantasy author from England most famous for his White Mountains Trilogy. He had great depth and world building skills. LL. Michelle Isenhoff, author of Song of the Mountain and The Quill Pen, and Elise Stokes, author of the Cassidy Jones Adventures series are two that captured my reader’s heart this year. They are both very gifted in their respective genres. I also think Ford Forkum has a great talent for satire with his Alien Invasion of the Zombie Apocalypse short story. All three are indies. LL. The members of my Clean Indie Reads group on Facebook were fantastic. Some acted as beta readers, others helped swarm Twitter with promos or gave me cover design feedback. They are great and talented cheerleaders. LL. Oh, if only… I’d love that, but I’m not banking on it. Like most writers I know, I do it because I can’t sleep at night if I don’t get the story down “on paper”. LL. I did. The model on the front was a girl from my daughter’s taekwondo class. She looked perfect for the part of Caz, so I asked her if I could take her picture and use it. A few hours of putzing with PicMonkey resulted in the covers for the whole trilogy. IAN. What was the hardest part of writing The Gypsy Pearl? LL. Caz has to experience life on a planet for the first time. Because of that, basic things like wind, dirt, or sunlight are freaky experiences for her. The real trick was trying to explain the Surface life from her perspective in such a way that the reader could recognize each new thing as something familiar. I wanted the readers to feel the newness she felt even when they were commonplace things like stairs, bugs, or rain. LL. Don’t be afraid (or too stubborn) to revise your manuscript many, many times. Editing is so much more than proofreading. It’s choosing better verbs, and slicing the blah blah blah. It’s catching those overused phrases and crafting that image just right. LL. You have it in you to do great things, even if that hasn’t been your track record so far. Keep looking for the ways you can make the best impact in the lives of others, not always the flashiest, but the most enduring for good. LL. The next book in line is the sequel to The Gypsy Pearl. Book 2: Craggy will see Caz on a new, much less hospitable planet. The feel will be much like the lawless days of the Wild West, except set in arid mountain tops. Caz will have to disguise herself as a young mining boy as she searches out timberline trees to extract a special syrup. Along the way, she will discover what freedom means something different to different people, and she’ll have to reconcile her own conflicting opinions before she can rise to lead others.